Besides consistently being some of the happiest people in the world, Danes are world leaders when it comes to setting and achieving national climate change mitigation and adaptation goals. Of course, that means they first had to acknowledge that climate change is taking place and that it poses tremendous risks and threats to the sustainability of their own, as well as regional and global, society. Whether it’s national happiness or climate change action, socioeconomic and environmental conditions in Denmark are a stark contrast to those in the US. The Scandinavian nation of less than six million people is well on its way to achieving national goals of reducing greenhouse gas (GHG) emissions 40 percent from 1990 levels by 2020 and being fossil fuel-free by 2050. 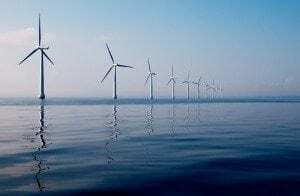 Aggressively pursuing development of its particular mix of renewable energy resources – in Denmark’s case, primarily offshore and onshore wind power – the Danes find themselves just 6%, or 4 million tons, short of their 2020 CO2 reduction target. Looking to make the final push to achieve the 40 percent-by-2020 carbon emissions reduction goal, the Danish government will introduce a climate change bill during the upcoming session of the national parliament. In addition to the strategic plan, an inter-ministerial working group is to release an accompanying catalog of some 80 potential climate change mitigation initiatives. Aiming to ensure accountability and make progress as publicly transparent as possible, the new national climate policy will include “requirements for an annual climate policy progress report,” the Danish Ministry of Climate, Energy and Building announced on August 14. The new climate policy plan and catalog of potential policy initiatives will provide the framework for Denmark’s efforts to address climate change going forward. Reducing GHG emissions in the transportation, agriculture and construction sectors, and in waste management, are to be the focal points. Minister Lidegaard doesn’t appear to be trying to sugar coat the far-reaching ramifications. “Some of these initiatives will have socioeconomic benefits, while others will be very expensive for society,” says Martin Lidegaard. “Each time the government has to decide on agricultural, transport or environmental policies the climate change effects will be taken into consideration. This will ensure a responsible and economically sound climate policy.